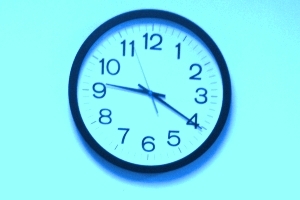 One minute in treatment delay may cost 1.8 days of health life. (Bloomberg) — Diane Barbeler had a stroke on Monday last week. The next day, she walked out of the hospital with only minor sensory changes in her right hand and foot. Barbeler owes her quick recovery to the tissue plasminogen activator, or tPA, that she received within 3 hours of losing strength and control in her lower limb, says Atte Meretoja, a neurologist who helped diagnose her stroke at Australia’s Royal Melbourne Hospital. Patients like Barbeler, 66, gain a month of disability-free life for every 15 minutes saved in getting the clot-busting drug, according to research by Meretoja and colleagues published today in the journal Stroke. By quantifying the importance of speed, Meretoja and collaborators in Australia, Finland and the U.S. aim to inspire medical services to improve response time. The world’s fastest stroke services in Helsinki and Melbourne take an average of 20 minutes from the patient’s arrival at the hospital to start tPA treatment, Meretoja said. Most other centers in Australia, the U.S. and Europe take 70 to 80 minutes. Stroke is the fourth-most common cause of death in the U.S., and the leading cause of adult disability. It occurs when blood flow to the brain stops, according to the U.S. National Institutes of Health. Brain cells begin to die within minutes. Ischemic stroke, which accounts for about 87 percent of cases, is caused by a blood clot, while hemorrhagic stroke is caused by a blood vessel that breaks and bleeds into the brain. Symptoms of stroke include sudden numbness of the leg, arm or face, confusion, problems with vision, abrupt severe headache, dizziness, loss of balance or trouble walking. The American Stroke Association advises people to call emergency medical services immediately if someone shows any of these symptoms. Barbeler, who describes herself as a fit and active recent retiree, stood upright after leaning down to pick vegetables in her garden when she felt heaviness in her right foot, along with a loss of sensation and control, she said. With help from her husband, Christopher, Barbeler returned to her house and finished a cup of tea while contemplating the cause of her sudden illness, she said. Meanwhile, Christopher called her family doctor’s office for advice. “The nurse told him to call for an ambulance immediately,” Barbeler recalled in an interview yesterday. She was taken directly to the Royal Melbourne Hospital, where doctors used computerized tomography, or CT, images of her brain to rule out causes other than stroke for her symptoms, which had worsened slightly en route from her home in Lauriston, a small town about 100 kilometers (62 miles) north of Melbourne. Subsequent, more detailed images identified a small offending clot, Meretoja said. TPA should be given within 4 1/2 hours of the onset of stroke symptoms, according to the American Stroke Association. Speeding treatment by just 1 minute means another 1.8 days of healthy life, today’s study found. While it’s not possible to predict what the outcome would have been had Barbeler not received the tPA within hours of the onset of her stroke, it’s likely the damage caused by a lack of oxygen to a small part of her brain would have resulted in “trouble walking for a long time,” Meretoja said. There would have also been a risk that the clot could have progressed to cause a greater blood-oxygen deficit. His research shows that, although all patients benefit from faster treatment, younger patients with longer life expectancies gained more than older patients. The average age of Meretoja’s stroke patients is 75 years. Today’s study by scientists at the University of Melbourne’s Florey Institute of Neuroscience and Mental Health, Helsinki University Central Hospital and the University of California, Los Angeles Stroke Center, is based on evidence from trials of clot-busting drugs that was applied to 2,258 stroke patients in Australia and Finland to calculate what the patient outcomes would have been if they had been treated faster or slower. “Until now, we have always known it’s important to treat the patients quickly, but we have never known how important it is,” said Meretoja, 38, who has been studying stroke and treating patients with the condition for 15 years, mostly in Helsinki, where treatment times are the shortest. Ten days after her stroke, Barbeler says her hand has a “sense of feeling fatter” and her foot, which turns in slightly when she walks, feels as though its tendons are shorter. The symptoms should gradually fade as areas of her brain unaffected by the stroke begin to compensate, Meretoja said. Relieved to have avoided weeks of rehabilitation and the possibility of permanent disability, the former professional opera singer and information technology consultant is keen to tell others to heed the signs of stroke, which don’t always include dizziness and pain — symptoms she’d assumed were indicative of stroke.